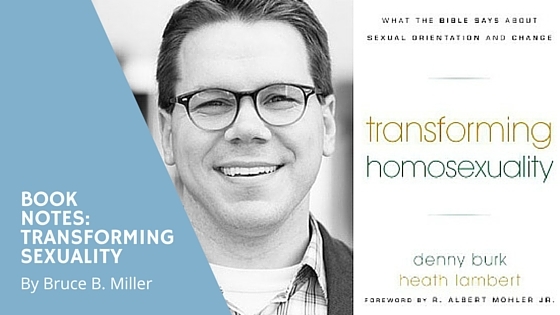 Denny Burk and Heath Lambert, Transforming Homosexuality: What the Bible Says About Sexual Orientation and Change (Phillipsburg: P&R Publishing, 2015). Burk and Lambert have written an important, convicting book, for all Christians. They argue that sinful acts are themselves sinful because the desired act is sinful. Careful work on Greek words for desire and attention to temptation address our sad situation in which each of us as fallen humans struggles with distorted desires. Burk and Lambert helpfully put all us in the same boat, as forgiven sinners seeking holiness in the Spirit’s power. They correct a wrong goal of heterosexuality, pointing out that the Bible never calls us to sexually desire the other gender indiscriminately. They also show problems with reparation therapy in terms of both how it defines the problem and common solution. Here they over-generalize painting all people in reparation therapy with a broad brush that does not always fit. They call for all of us to be transformed into the image of Christ the power of the Spirit is refreshing. Then from Ephesians 5 they provide practical steps toward transformation. The final exhortation to love is on the mark.